​during the 2017 Extraordinary Give. A grand total of $11,825 was donated to the Foundation! Why Do You Give Extra?!? THANK YOU to the 56 donors that supported the Ephrata Area Education Foundation during the 2016 Extraordinary Give! ​A grand total of $7,435 was donated to the Foundation. 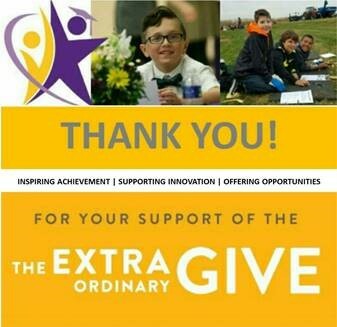 THANK YOU to the 52 donors that supported the Ephrata Area Education Foundation during the 2015 Extraordinary Give! ​A grand total of $12,455 was donated to the Foundation. THANK YOU to the 42 donors that supported the Ephrata Area Education Foundation during the 2014 Extraordinary Give! grand total of $8,580 was donated to the Foundation.